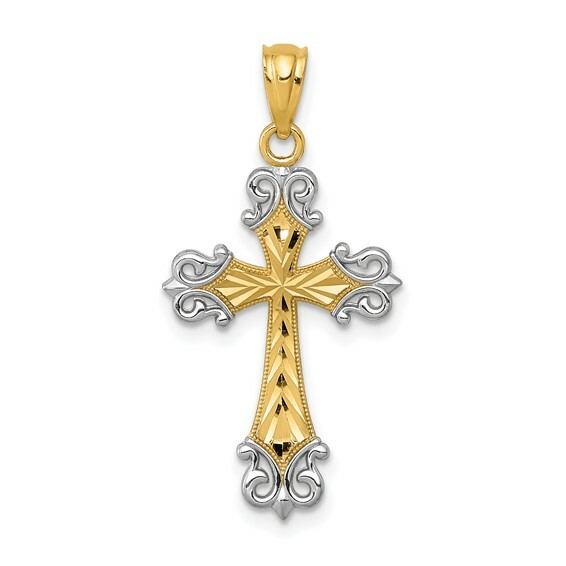 Fleur-de-lis cross pendant is made of 14kt yellow gold and rhodium. Diamond-cut. Item measures 9/16 inch wide by 7/8 inch tall without loop and bail. Weight: 0.62 grams.